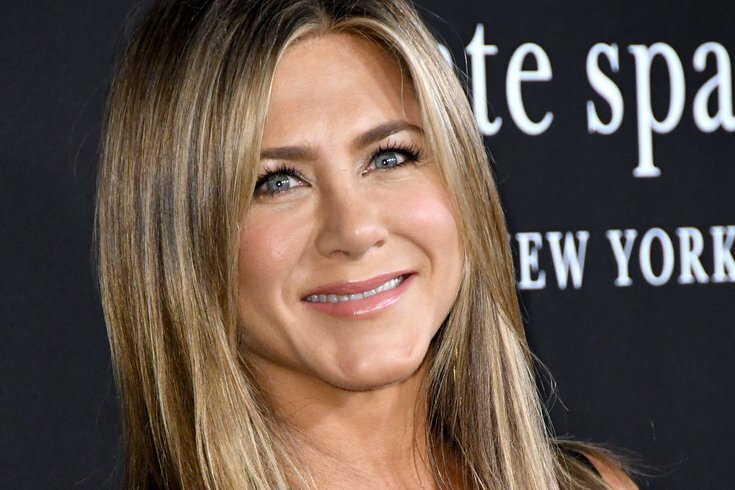 Everyone will be talking about Jennifer Aniston’s new Netflix movie in Dec.
22 October 2018 - Los Angeles, California - Jennifer Aniston . 2018 InStyle Awards held at The Getty Center. Netflix has found success this year with adapting YA novels into original movies. Both "The Kissing Booth" and "To All the Boys I've Loved Before" quickly became must-watch hits on the streaming giant. Now there's a new movie to look forward to in December. Sorry, it's not a "To All the Boys" sequel, but it does star Jennifer Aniston. Netflix just released the first trailer for "Dumplin'," based on the 2015 best-selling novel by Julie Murphy, and there's a lot to love right away. The body-positive message is especially great (You can watch the trailer below). RELATED: Here are five original Christmas films streaming on Netflix in November | Sip on Harry Potter cocktails at Movie Tavern during new "Fantastic Beasts"
"Dumplin'" tells a coming-of-age story of Willowdean Dickson (Danielle Macdonald), the plus-size daughter of beauty queen/local celebrity Rosie Dickson (Jennifer Aniston). Willowdean decides to sign up for a pageant as a "protest in heels," as she says, and her one-woman stand against archaic beauty standards ignites a revolution in her town. To help her navigate the pageant world and make her point is her best friend, Ellen (Odeya Rush), along with a group of local drag queens. You'll spot "RuPaul's Drag Race" star Ginger Minj in the trailer below. What's refreshing about Willowdean's story is that it isn't a lame/offensive makeover story. She knows it's society's outdated view of what's beautiful that needs to change, not her. And as a bonus, the movie also includes new music from country icon Dolly Parton. Start counting down to Friday, Dec. 7, when "Dumplin'" debuts on Netflix.